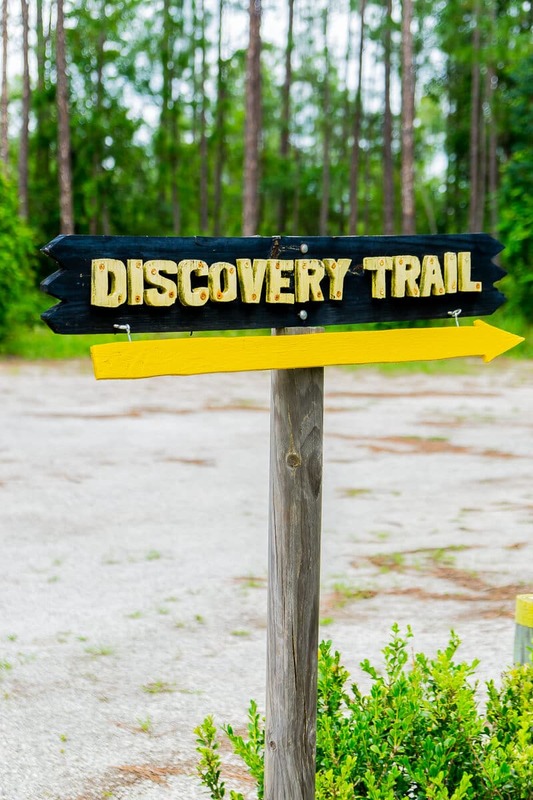 If you’re searching for things to do in Daytona Beach, search no further. 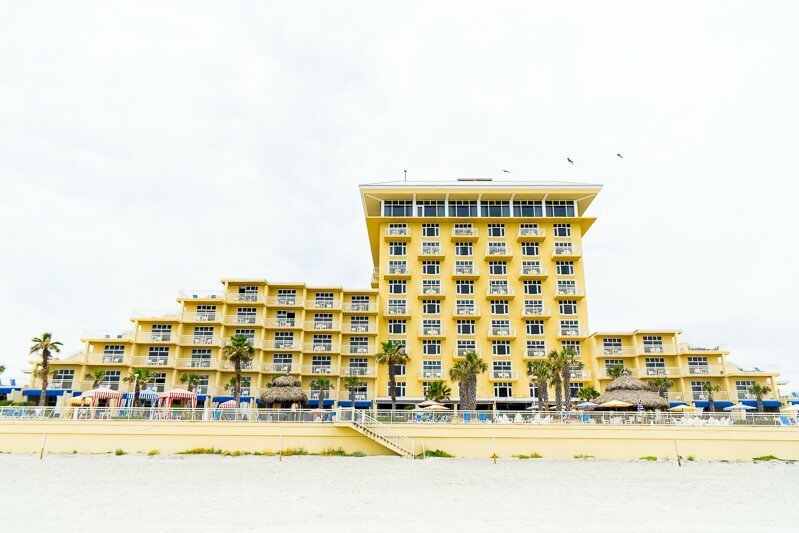 This guide to what to do in Daytona Beach will give you enough things to do for a weekend getaway, a week, or even a month if you’re staying that long. There are so many awesome Daytona Beach attractions and things to do in Daytona that you’ll never want to leave! From racetracks to gorgeous beaches, this list of Daytona Beach things to do has something for everyone. 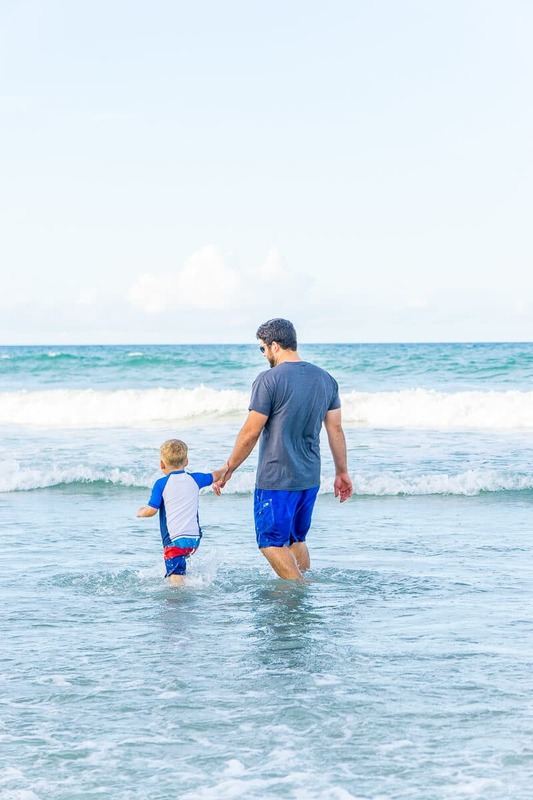 Earlier this month my husband and I took our 4-year-old son to Daytona Beach for a quick weekend getaway. I’ve only ever been to Daytona Beach once before and that was for a whirlwind VIP Daytona 500 tour when Nextel took over the Nascar Race Series back in 2004. I was just barely an adult taking a weekend break from college, and we as a group of VIPs were treated to a private concert by Leann Rimes, a presentation by Grand Marshall Ben Affleck, and box seats of one incredible race. We walked the boardwalk and ate some ice cream but that trip was mostly about the race. And very different from this one. Honestly before our trip this past month, I knew very little about things to do in Daytona Beach other than the speedway and the beach. In the space of just three days, we found so many awesome Daytona Beach attractions, my son is already asking when we can go back again. 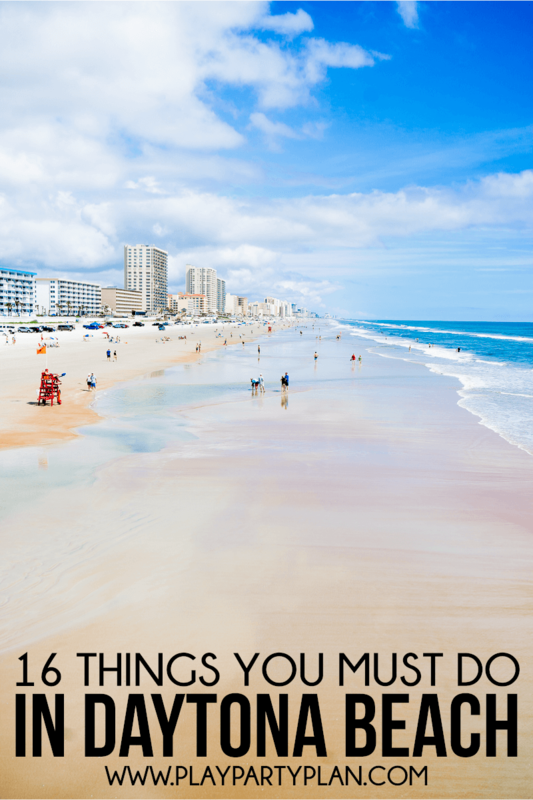 These were our favorite Daytona Beach things to do, but I have no doubt there are enough things to do you could easily spend a week or longer visiting. But for us, a weekend getaway was the perfect amount of time. 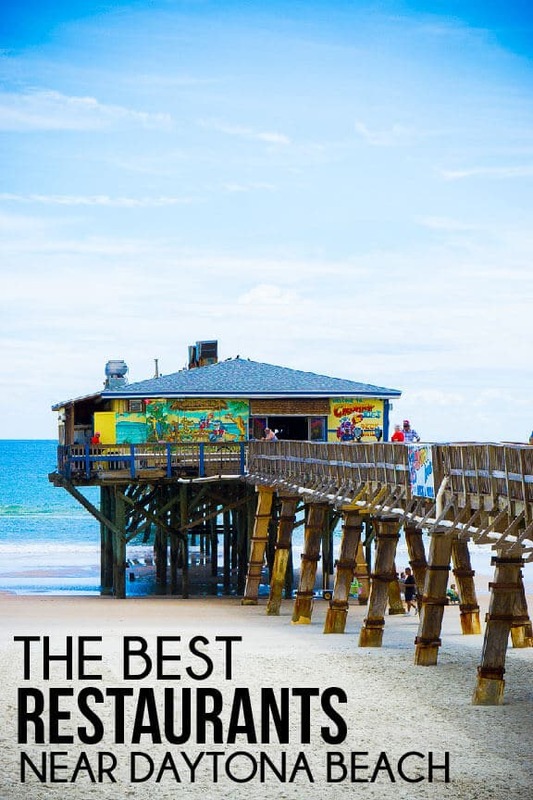 To help you see how much fun Daytona Beach can be, I’ve put together a video of some of the highlights of the best things to do in Daytona Beach but make sure to read this entire post because not all of the items on this list made the video! Let’s start with the food. Well, sort of. I already wrote up an entire post about our favorite Daytona Beach restaurants so there’s no need to recap that here. But let me just say, the food was unique, delicious, and affordable. We had everything from gummy worm topped donuts to the best grilled cheese I’ve ever eaten in my life. So on your weekend getaway, make sure to plan in at least a handful of these places to eat in Daytona Beach. Your stomach will thank you. 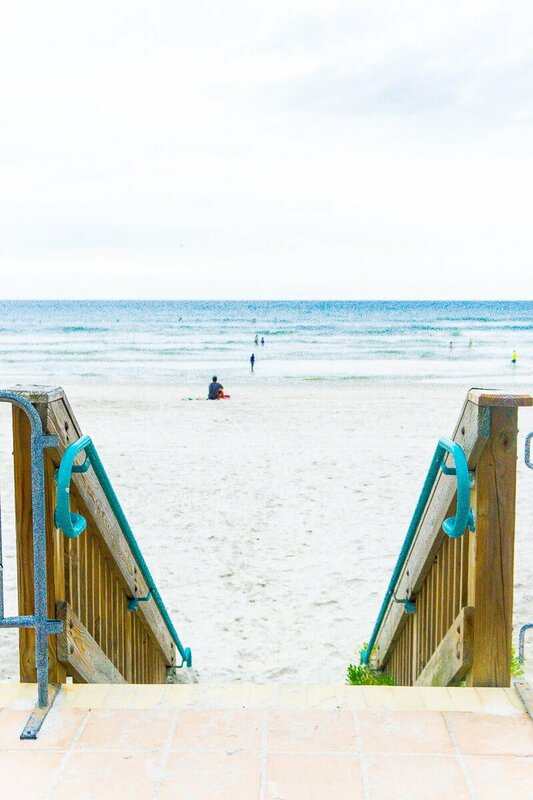 Daytona Beach has 23 miles of beautiful beaches that run from one end to the other. If you only have a weekend like we did, make sure to plan at least a few hours at the beach. Or better yet, plan a few hours one morning and then a few hours one afternoon later on in your trip. 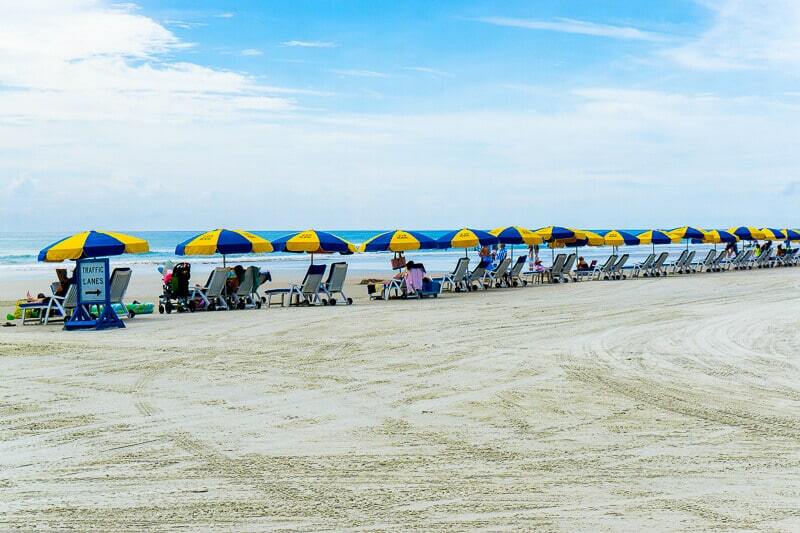 The beach is easily one of the best things to do in Daytona Beach; it’s named Daytona Beach for a reason! 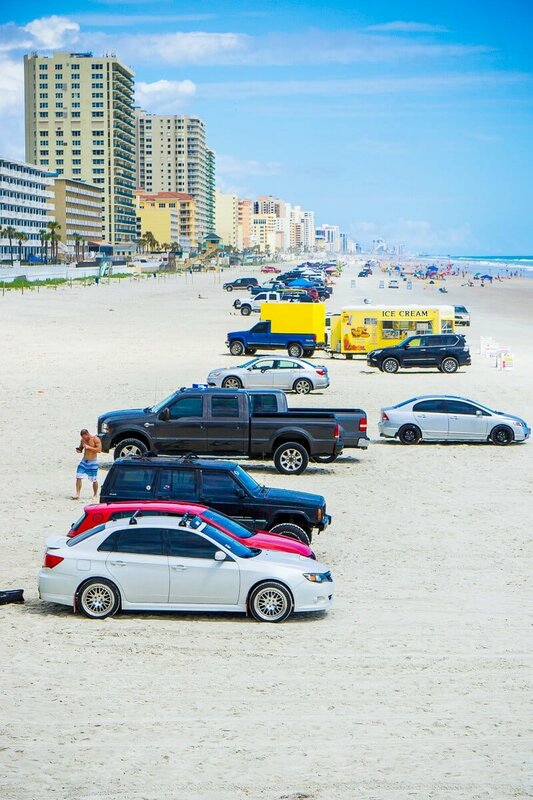 Speaking of the beach, one of the most unique things about Daytona Beach is that you can actually drive down and park right on the beach. 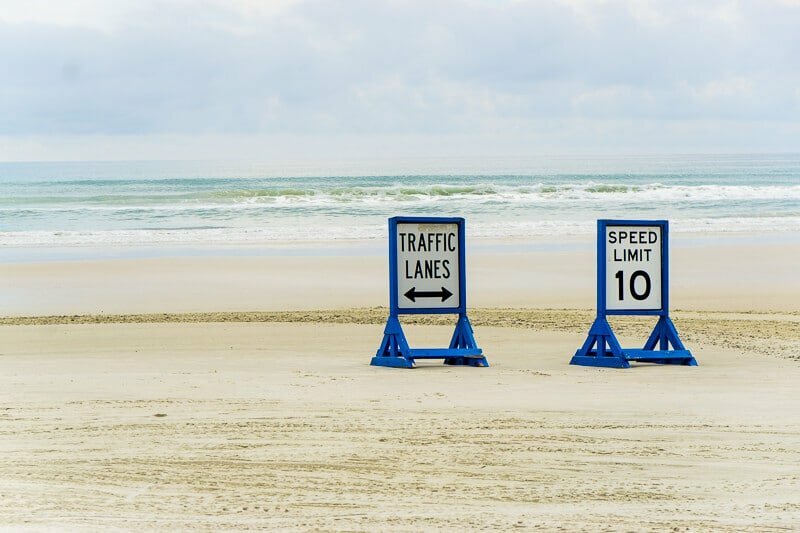 There are traffic zones and on the Saturday morning we were there, the parking zone was filled with beachgoers’ cars lined up side to side. Beach parking is only available via a few access points along the beach and cost $10 for the entire day when we went. But it’s so worth it. Oh and make sure to watch young kids, my son wasn’t used to cars driving on the beach and kept walking into the traffic zone. We were a little too busy to actually get to the speedway ourselves, but everyone I’ve talked to said it’s pretty incredible. And from what I can remember from years ago, it is. 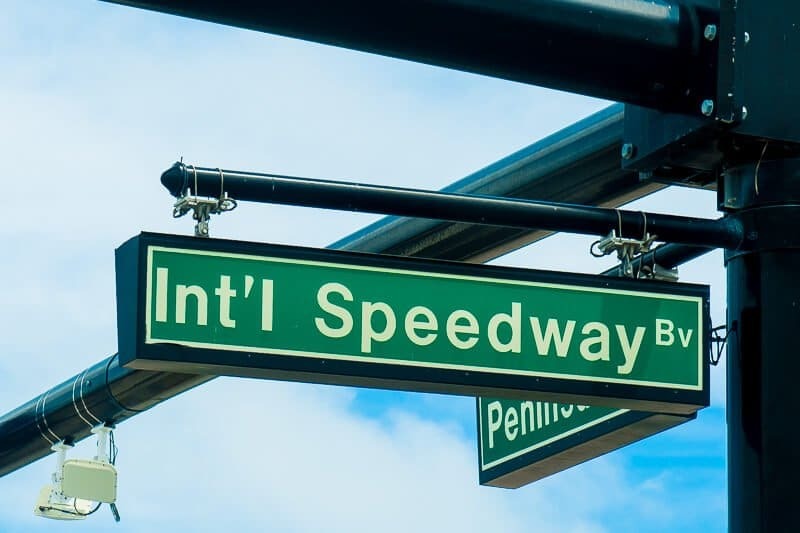 If you can’t see a race, you can still go on a tour of the speedway to get a sense of how impressive it is to watch cars zooming around the corners. 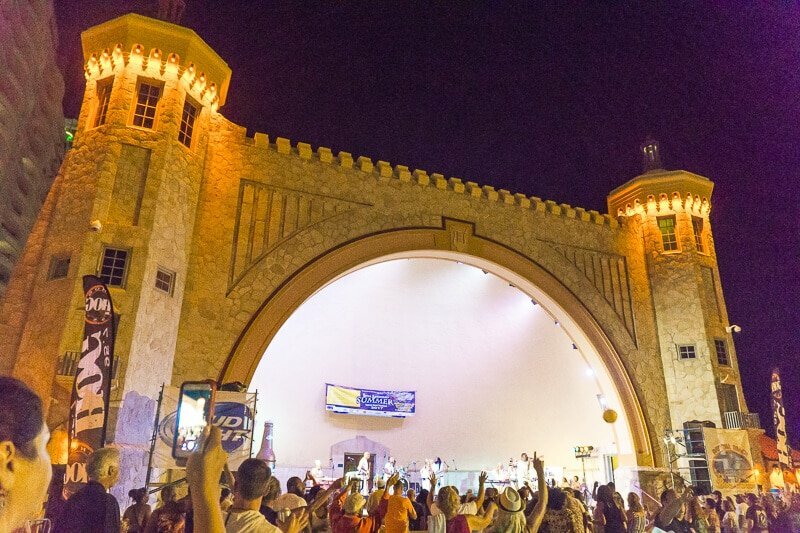 There are way too many Daytona Beach Events and festivals going on regularly to list but one of the more popular ones during the summer is the free concert series on Saturday nights in the Daytona Beach Bandshell. It’s located right in front of the Ocean Walk and free to the public unless you want to buy a chair, which cost a minimal fee. On our visit, the concert was an Earth, Wind, and Fire tribute band that finished with an energetic cover of Uptown Funk that had everyone in the area on their feet dancing. After the concert, don’t miss the 9:45PM fireworks shot from the Joe’s Crab Shack pier every Saturday night throughout the summer series. 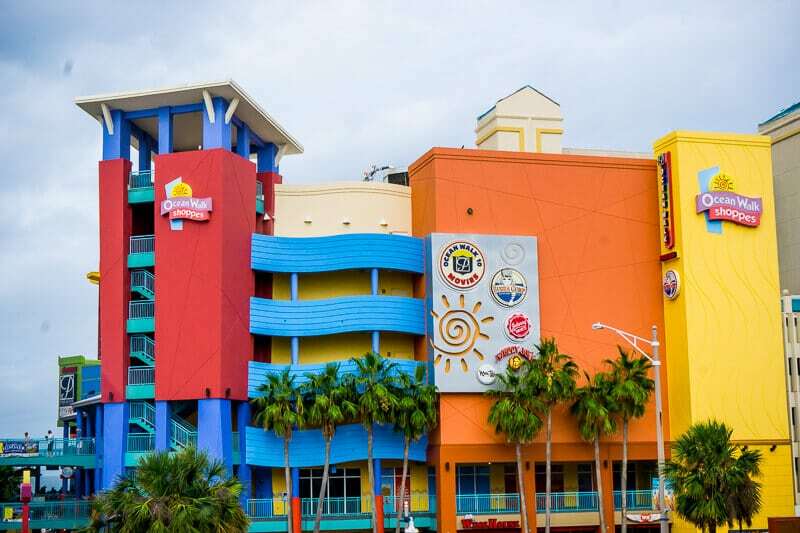 The Ocean Walk Daytona Beach is a bright and colorful space full of shops, some of my favorite restaurants in Daytona Beach, and the Daytona Beach Bandshell. And it leads out to the beach and the boardwalk lining the beach. It’s a fun place to spend an afternoon or evening, especially on a Saturday night before a free summer concert. Every beach needs a boardwalk. 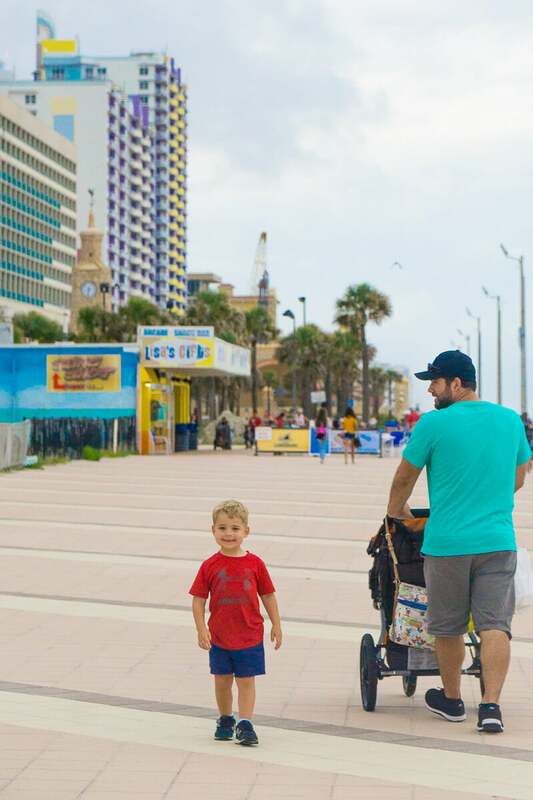 The highlight of the Daytona Beach boardwalk is the walk itself since much of it is currently undergoing renovations. 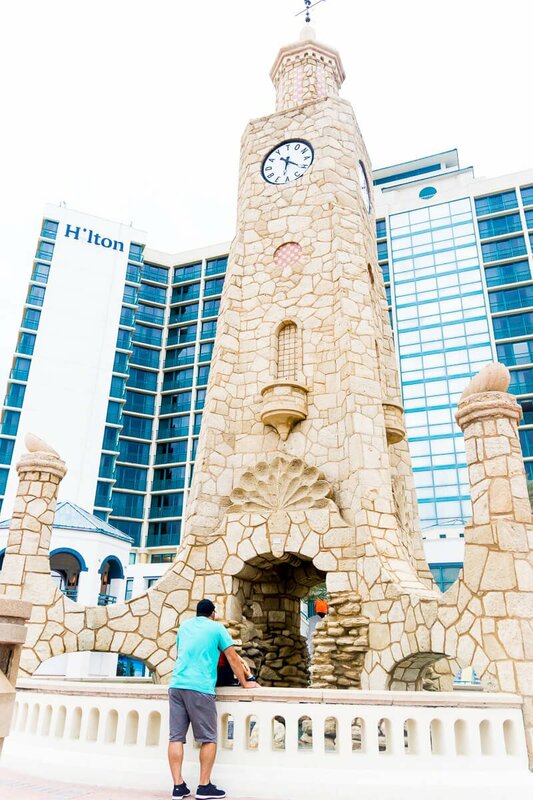 Get shot into the air in the giant slingshot ride, explore a Daytona Beach clock fountain, read about the history of beach racing, and enjoy a piece of the world’s most famous taffy from Zeno’s Boardwalk Sweet Shop at the very end of the boardwalk. You would think I would recommend playing miniature golf at a mini golf course right? Then you’d be partially right. 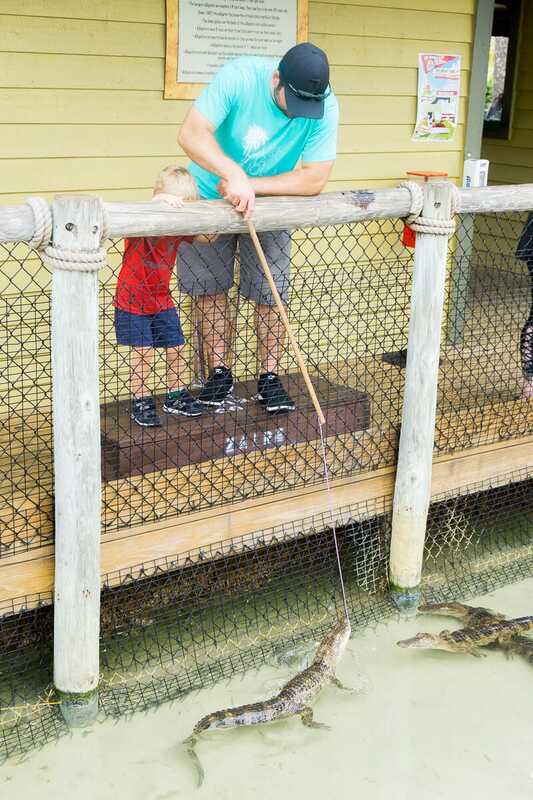 I do recommend the mini golf, but I also recommend feeding and holding the alligators while you’re there. 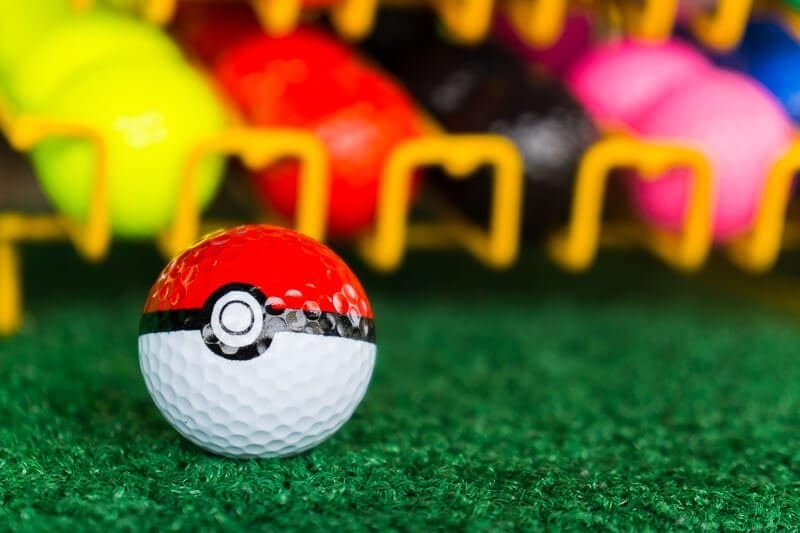 Congo River Golf actually has an ultimate package that gives you the chance to experience everything they offer – feeding alligators, holding a baby alligator, playing miniature golf, mining for gemstones, playing arcade games, and even getting a fun souvenir golf ball of your choice. 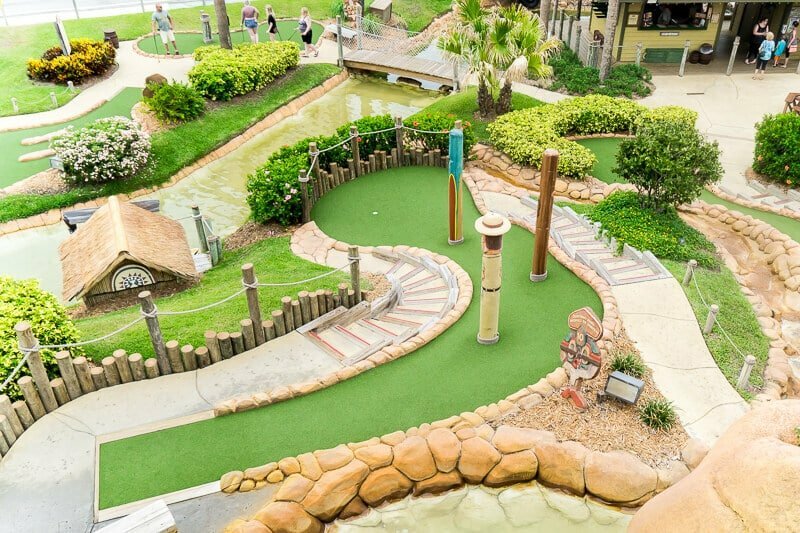 And before I move on, I have to mention the mini golf. It may not have been the best in terms of course holes that I’ve ever seen but the additions to the mini golf made it one of my favorites ever. 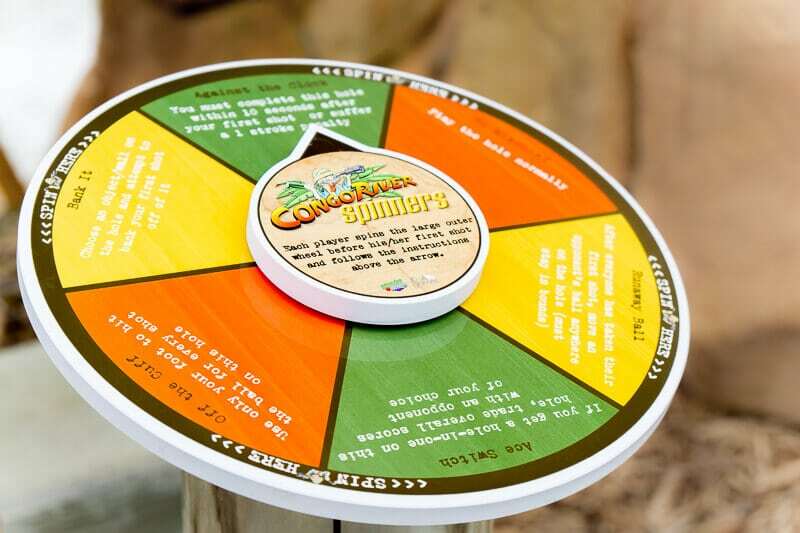 They have a little scavenger hunt you can do during the mini golf game to find items to win a scratch ticket at the end (or a medal for kids). And my personal favorite – spinners at select holes that change up the game. Each one is different gives you something to do for that hole such as hit it behind your back, choose someone to stand in the middle of the hole while you’re shooting, take an extra free shot, etc. It’s the only time I’ve ever seen that, and I’m already trying to figure out how to recreate it at home! 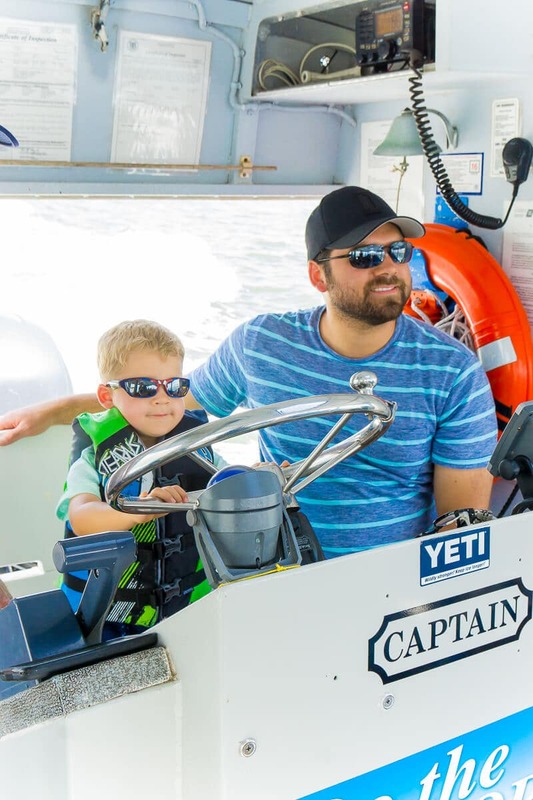 Ponce Inlet Watersports offers 90 minute eco tours where you fill into a shaded boat and sail through the intercoastal waterways looking for all sorts of sea life. The crew on our tour was fantastic and the boat ride was really one of the highlights of the trip. 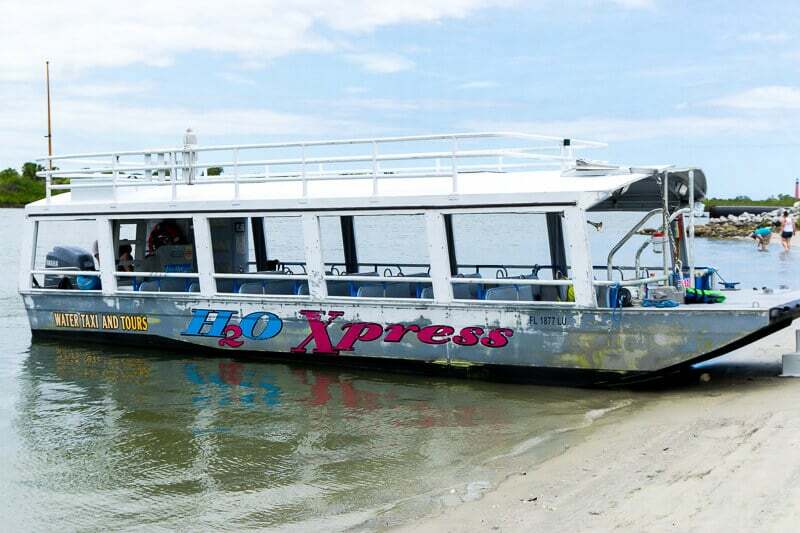 I loved not only seeing the sea life but hearing about how the sandbars change daily based on the tides, about the different waterway systems, and more eco trivia. And for $25 a person (ages 3 and under are free), it was a fantastic way to spend the afternoon. 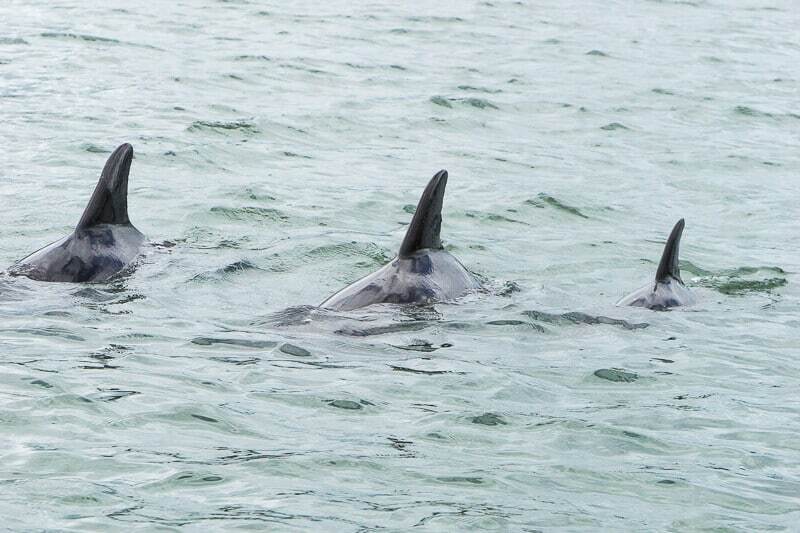 It didn’t hurt that we happened upon a pod of maternity dolphins with their babies who played around our boat for about 30 minutes. 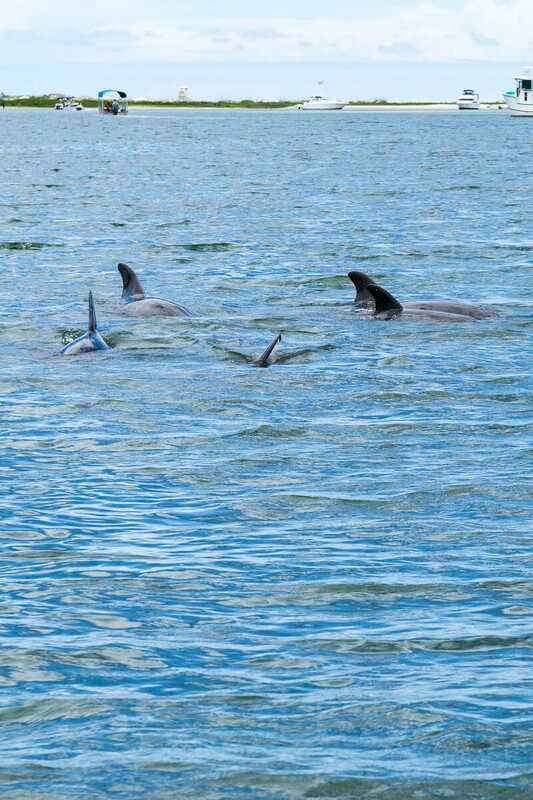 It was truly amazing to see so many dolphins up close and in the wild. 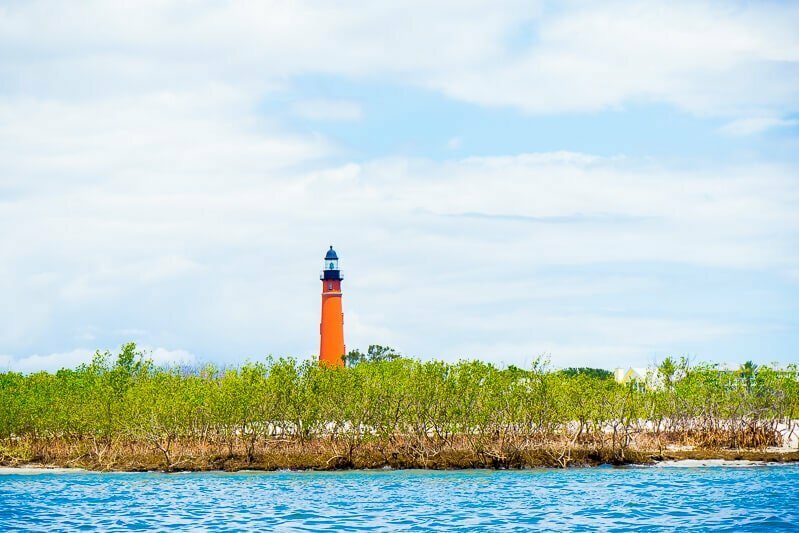 Our eco tour guides told us that people will climb the Ponce Inlet Lighthouse to see which sandbars are available each day because they’re always changing. 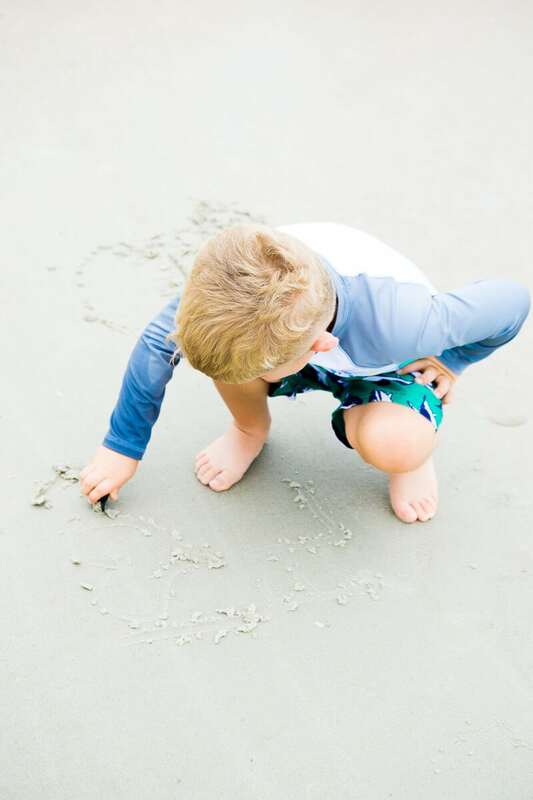 The sandbars within the intercoastal waterway can be there in the morning and completely covered by the tide in the evening, making them a fun place to play for an afternoon. 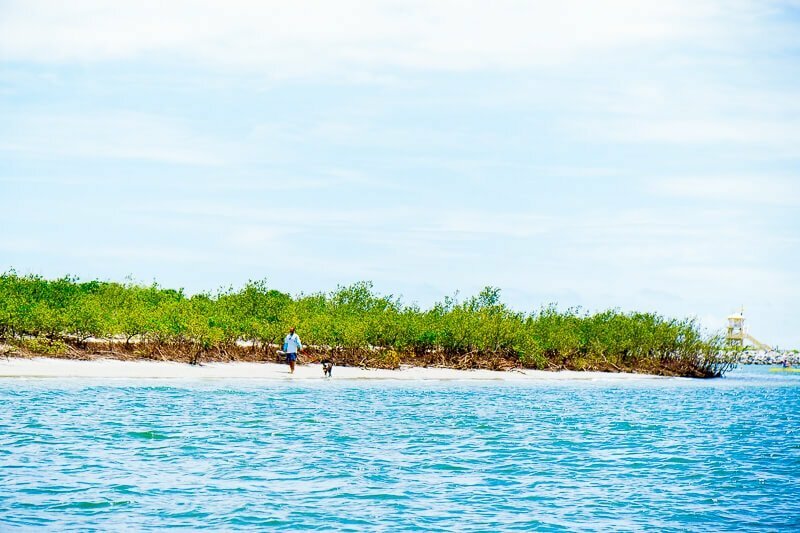 We saw a ton of families and dogs (the two pet-friendly beaches are in the inlet) enjoying the beautiful sandy pop-up beaches and next time we’re in town, we’ll definitely be joining them. 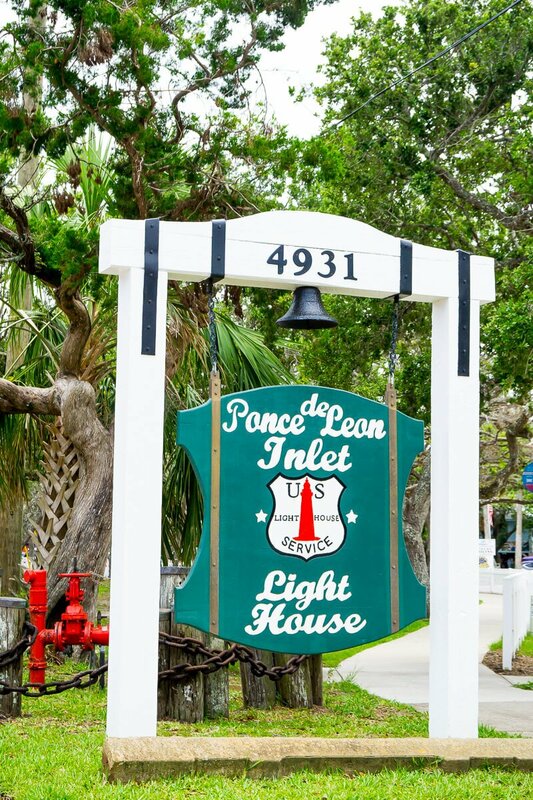 Ponce Inlet Florida is just a few minutes drive from Daytona Beach and sitting right in the middle is the iconic Ponce Inlet lighthouse. The naturally colored coral brick juts into the blue sky makes it easy to spot from the water, the beach, or the nearby roads. The walk up is a bit brutal but the views from the top are worth it. 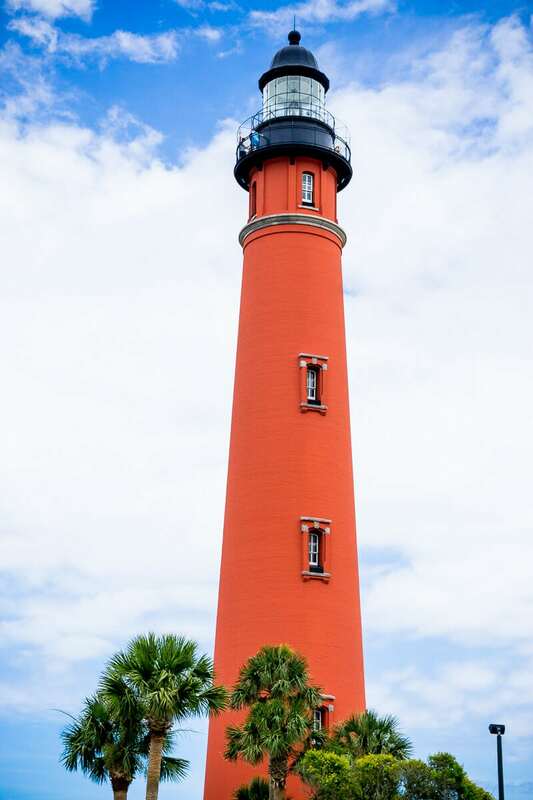 Climb the lighthouse then head to the nearby marine science center. Just around the corner from the lighthouse is the Marine Science Center. 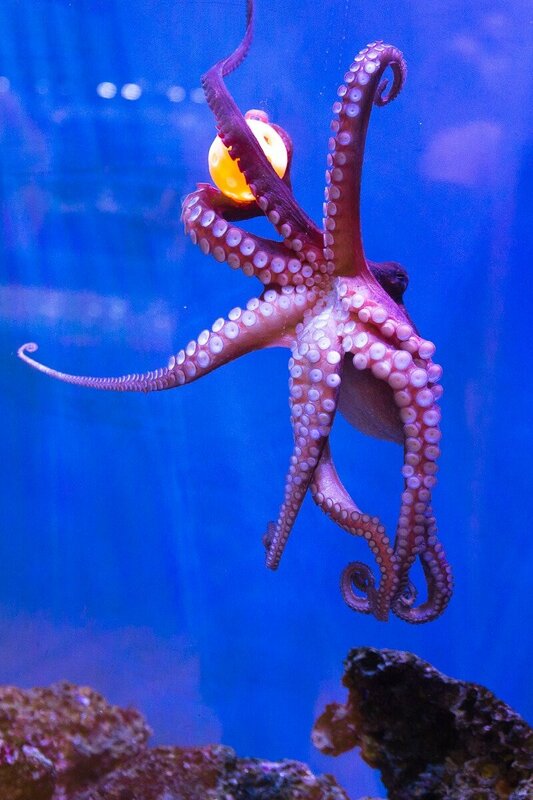 It’s the local sea life hospital where sea animals and birds are brought when injured and nursed back to health. 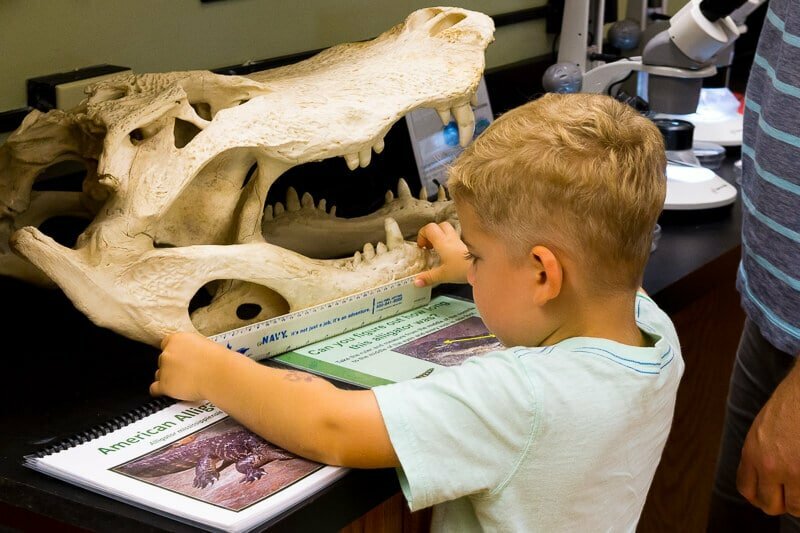 It’s also a fun place to spend an hour or two exploring the educational exhibits they have to offer. 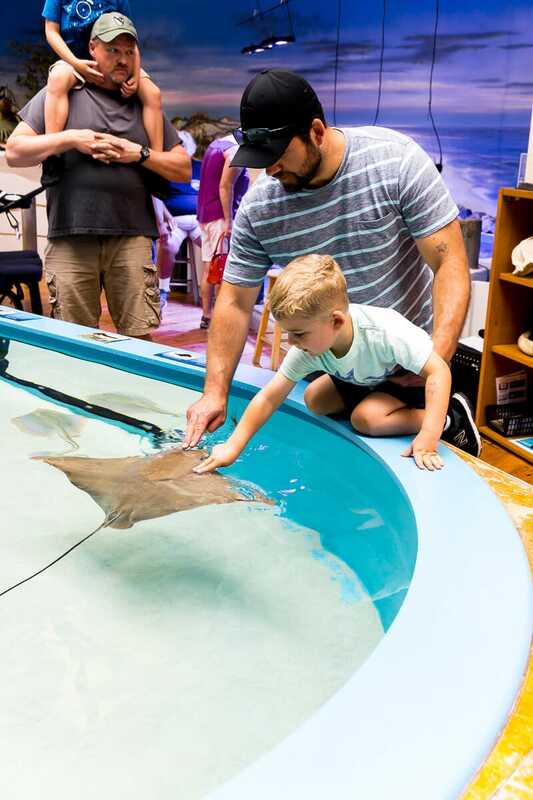 Don’t miss the touch tank with stingrays that are eager for a little back scratching, the octopuses who play with balls for physical therapy, and the sea turtle hospital where staff members are taking care of the beautiful creatures. 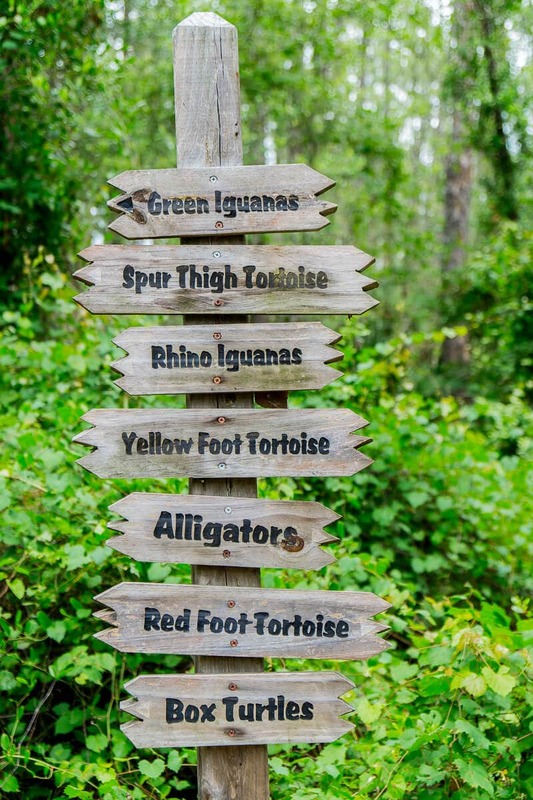 Outside is a small nature trail where you can see large birds, turtles, and more. It’s one of the lesser known things to do in Daytona Beach but a great place to spend a few hours with kids. There is always something going on in Daytona Beach. Just look at this calendar of Daytona Beach Events before you go and pick what fits your group. 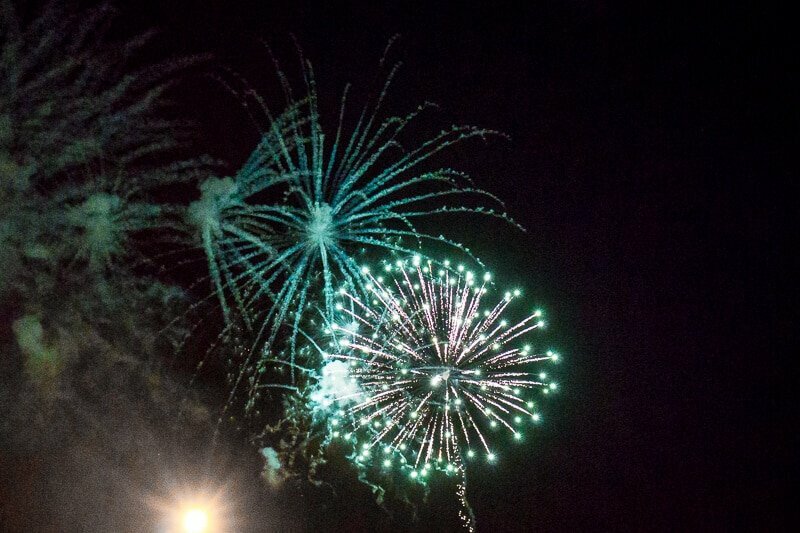 During our weekend visit, there was a concert, fireworks, a kite festival, and plenty of live music to choose from. All of the different Daytona Beach Events makes it a great place to visit over and over again. 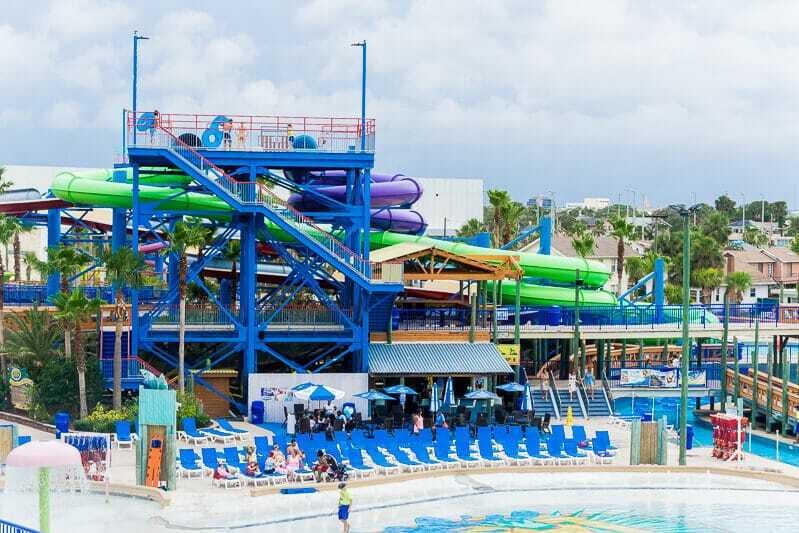 Daytona Lagoon is one of the more popular Daytona Beach attractions and located just across the street from the Ocean Walk Shops and Restaurants. 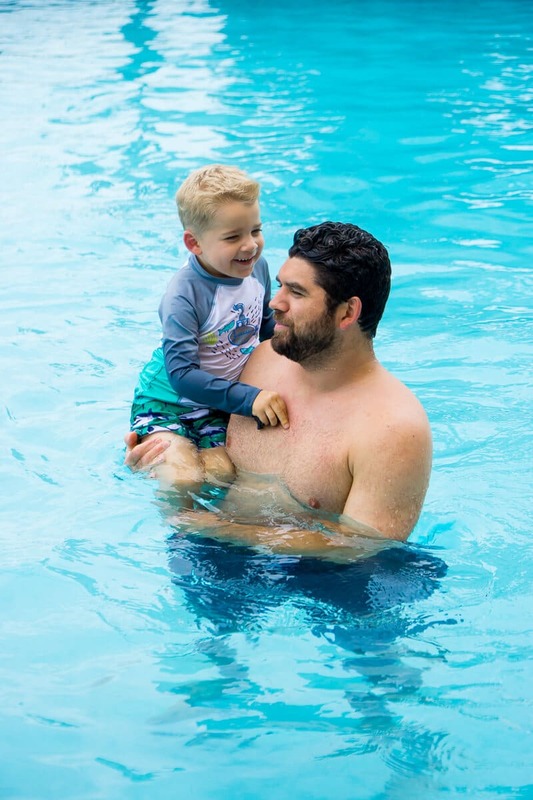 It’s a fun way to cool off on a hot day if you’re looking for something other than the sand and salt water. 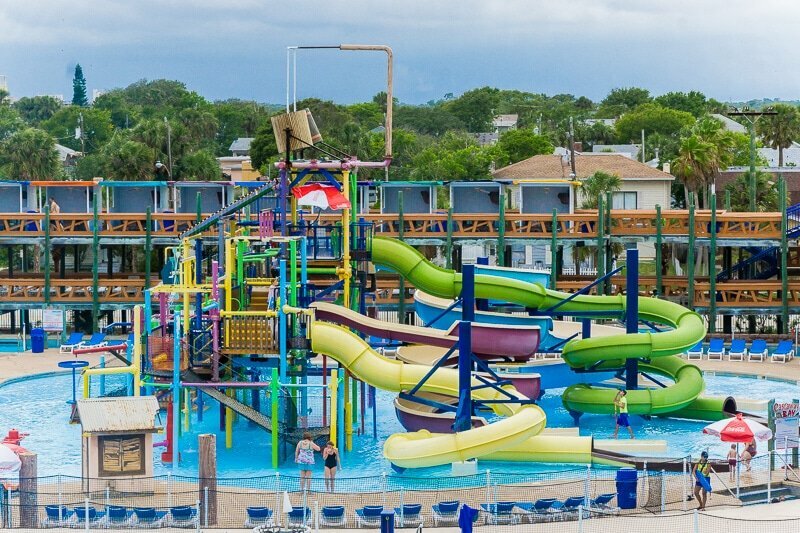 With a number of twisty slides, a lazy river, a wave pool, and a massive kid water bucket play area, it’s definitely a good alternative when you’re sick of the beach and still want to cool down. Also at Daytona Lagoon are go-karts, arcade games, and small rides that’ll keep a family entertained. 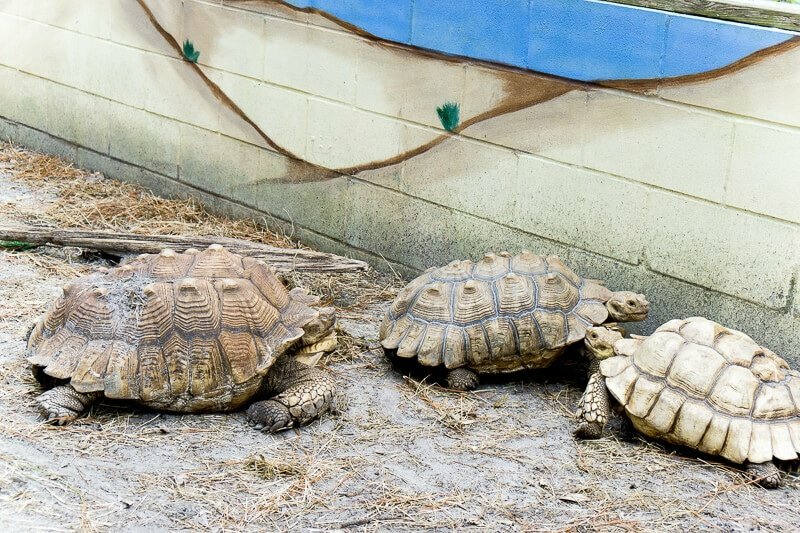 Just down the road about 30 minutes is the small and educational reptile discovery center. 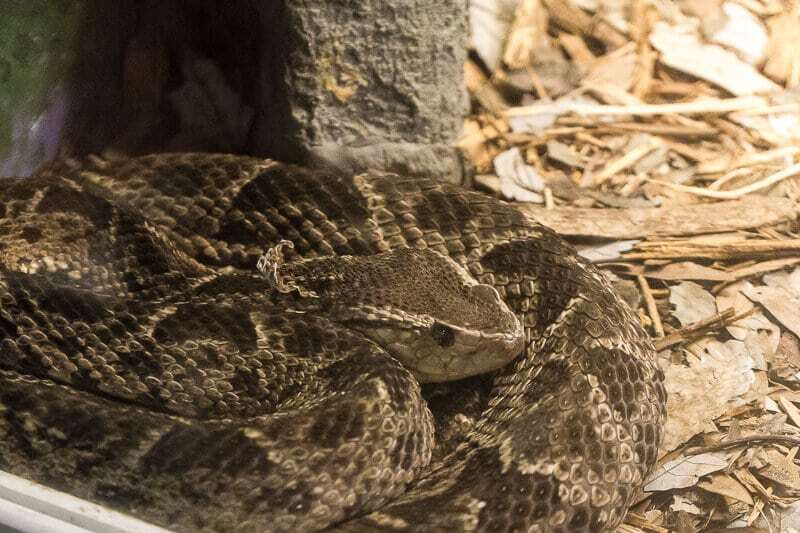 Head in for the chance to see both venomous and non-venomous snakes that’ll haunt snake haters’ dreams while somehow making your kids’ dreams come true. 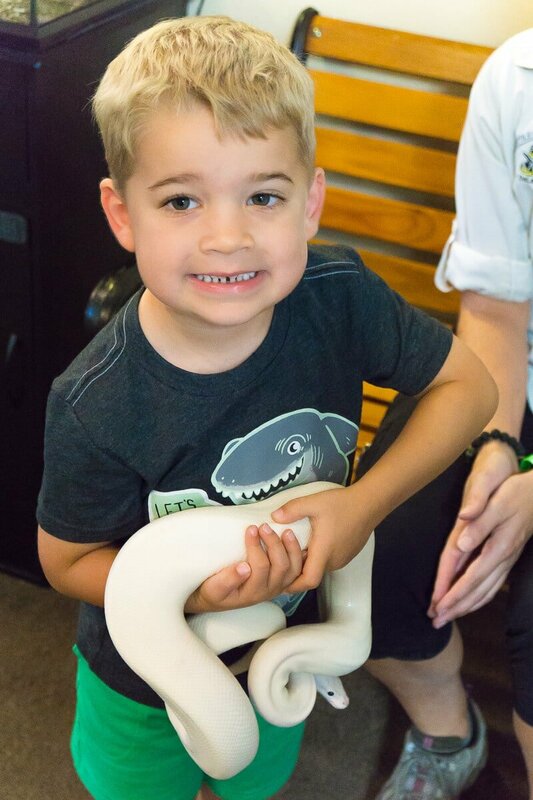 And don’t miss the presentation each day at 11:30 and 3PM (except Sunday) where the trained staff will extract venom from one of the snakes and bring out snakes for the kids and adults to hold if they choose. 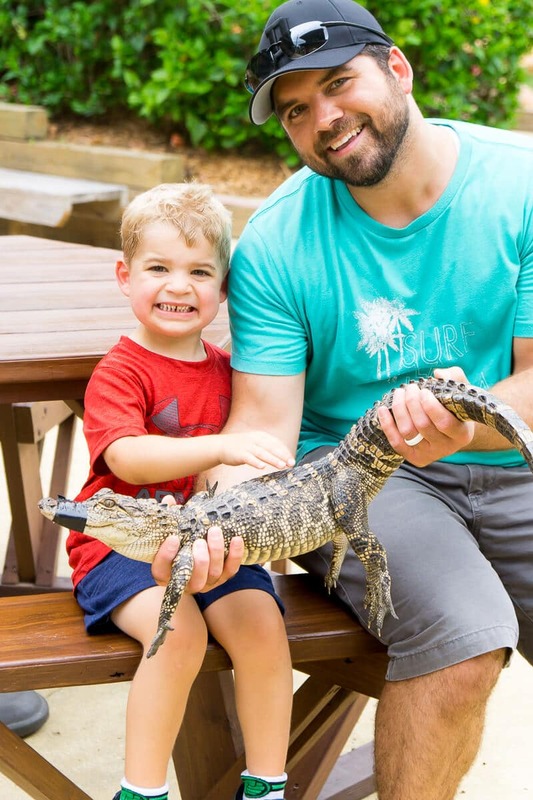 Outside of the reptile discovery center is the discovery trail where you can see reptiles such as lizards, turtles, and crocodiles in their natural habitat outside along a nature trail. 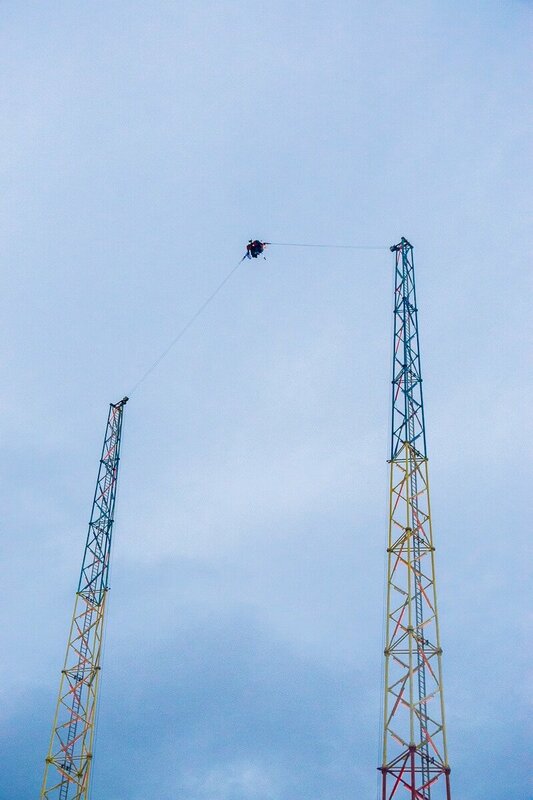 While it’s not technically one of the things to do in Daytona Beach, it’s close enough. There are plenty of Daytona Beach hotels to choose from but our resort of choice is The Shores Resort & Spa. The resort has rooms that are perfect for families, sleeping 4 or 5 with the help of a fold out chair bed. The beds were incredibly comfortable and the ocean view balcony was the perfect way to enjoy the complimentary bottles of water provided for guests. And don’t miss out on Sunday brunch at Azure (best grilled cheese ever!) and the complimentary s’more kit provided to guests for roasting marshmallows on the fire pit at night. 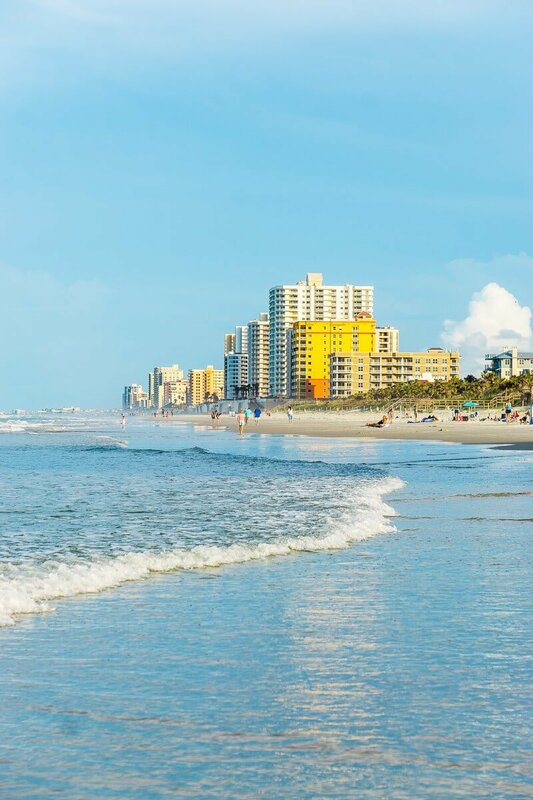 These are just some of our favorite things to do in Daytona Beach, Florida. Start with this list then expand to add some things that are perfect for your family! 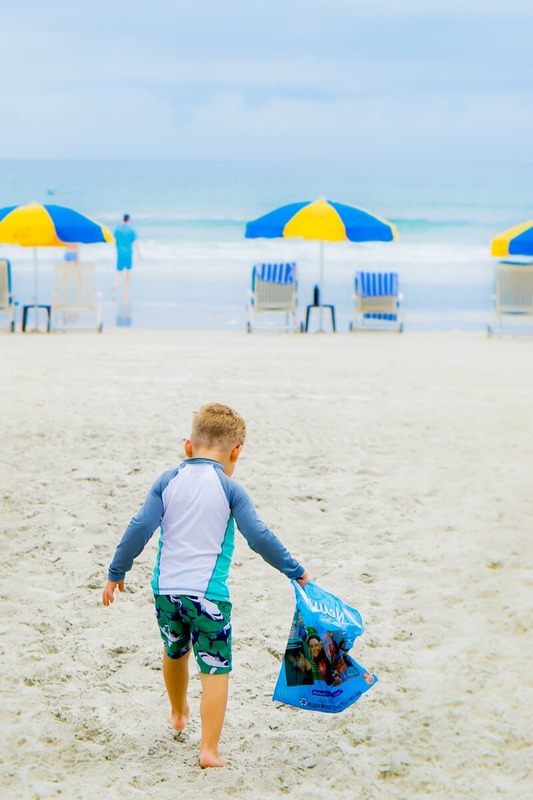 There’s really enjoy for an entire summer of Daytona Beach fun! 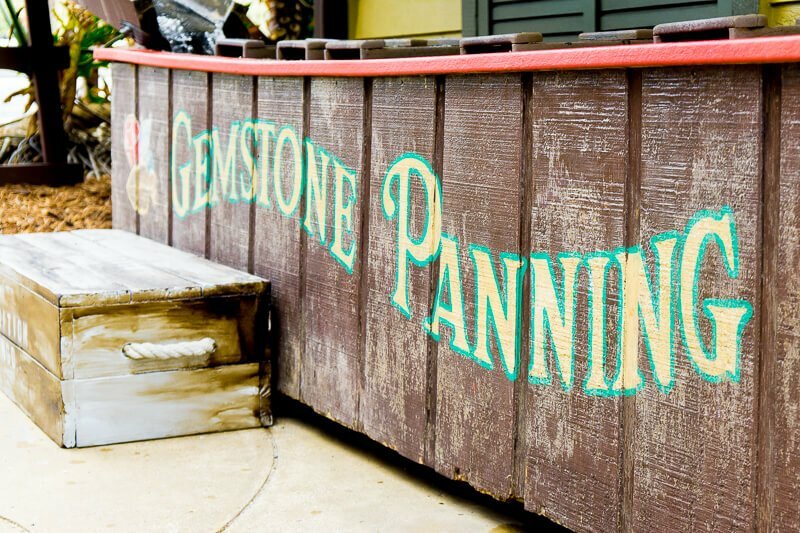 Don’t forget to pin these things to do in Daytona Beach Florida for later! Thanks for these helpful tips! Road is an art form, a challenge, and adventure!Promising tips! I must try. I purposely under pack.